Our team can help you select Motor Protection Relays that are right for your application. Our solutions include a complete motor protection relay system that has customizable overload curves and single CT differential protection. Motor Protection Relays are a great way to protect against overcurrent so that your motor operates efficiently and increases the life of your equipment while decreasing down time. Let Laron help you select motor protection relays to protect and monitor your critical electric motors. Laron offers motor protection relays that provide motor overcurrent protection that can be installed in an enclosure, contactor or a panel. Includes multiple RTD inputs for stator thermal protection. Heavy Duty Draw out construction to minimize down time. 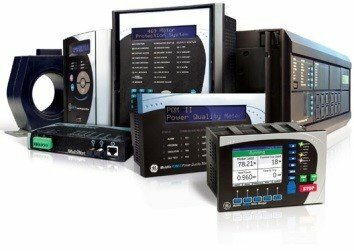 Come complete with data reports / data logger software that is able to be field upgradeable firmware and settings. LARON Inc. supplies and repairs all types of electric motor protection devices and strategies for both AC and DC electric motors for sale including surplus electric motors and remanufactured low and medium voltage electric motors of all types and all manufacturers. Life extension projects relative to the electric motors protection of AC and DC electric motors are our specialty; and in our modern shop facilities, our technicians can repair, recondition or upgrade your AC and DC electric motors.